Maryland is a great state for paralegals; it claims an impressive almost 6,000 hired in 2010 according to the Bureau of Labor Statistics and the number keeps climbing. Suburban Maryland and the metropolitan area surrounding Washington D.C. happily claims both the third largest population of paralegals and also the third highest yearly salaries in the nation. While those salaries can vary quite wildly depending on specialization (environmental paralegal as compared to trademark paralegal, for example), the averaged wage as of February 2013 was listed at over $47,000. As is typical of most the states, the field of the paralegal is not regulated in Maryland, meaning there are no set or minimal requirements specifically outlined before a person can undertake becoming a paralegal. As the opportunity arises, so can one enter the field. However, it has become a highly competitive profession and while the state has no mandates, an employer might have requisites for themselves. A formal education or training in criminal law or paralegal studies definitely offers an edge to the entry-level paralegal, vaulting them over others who may be less qualified or experienced. It also lends to a better starting pay, better benefits, and more chances for advancement. 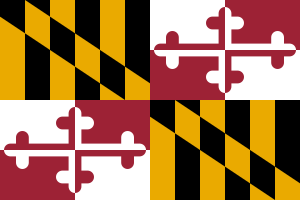 The main rule Maryland does set forth is Rule 5.3, which states any paralegal or legal assistant labors under the direct supervision of an attorney who accepts culpability for the assistant’s professional actions, and who takes responsibility for teaching the assistant proper ethics. There are many hundreds of schools and legal programs available both online and on campus to fulfill the educational need of this niche. However, it is highly recommended that the aspiring paralegal seek out an ABA-approved school for the sake of certain voluntary exams they may wish to take later; it also shows better on a resume. ABA is an acronym for the American Bar Association, and most would be familiar with its link to attorneys. The ABA has stringent demands on the professional and practical content of legal studies; those schools that can gain and keep ABA approval are known as the ones to produce the most in-demand graduates. When in doubt about which courses to take, err on the side of caution and marketability. There are a number of degrees and certifications a paralegal can obtain. There is a two-year Associate of Arts Degree (AA) or Associate of Applied Science (AAS) degree (and these can stand by themselves or springboard into further learning), a Bachelor of Arts degree (BA) or a Bachelor of Science degree (BS) which are both four-year programs. If you already possess a BA in any other discipline then the basic course requirements are satisfied and studies can focus solely on legal aspects and training. In this case a Post-Baccalaureate certificate can be gained in the shortest amount of time, about one year depending on the school program. There are also Master’s degrees and Juris Doctorates. To become a certified paralegal in Maryland it is necessary to possess education and/or work experience and then successfully complete a national certification exam. One can voluntarily sit for one of four national exams offered by one of three national sponsors. To become certified looks good to employers and great on a resume; it shows knowledge and experience but it is wholly voluntary. Despite that, for an edge, it is recommended, especially if you plan to stop with an AA degree. The NFPA (National Federation of Paralegal Association) offers two of the exams, the PCCE and the PACE. NALA (National Association of Legal Assistants) offers the CP and CLA, and NALS (National Association for Legal Assistants) offers the PP. Each exam comes with its own requirements so please see the chart. The Anne Arundel Community College in Arnold is a legal studies institute and offers some options in paralegal studies. It offers a two-year AAS degree of 64 credit hours, and a Post-Baccalaureate Certificate that takes 31 credit hours to complete. In both cases internships are elective. Harford Community College in Bel Air offers three options in a paralegal program: a two-year Associate in Applied Science degree, a Post-AAS Certificate, and a Post- Baccalaureate Certificate. In the case of the AAS degree, basic educational classes (math, English) can be taken online while the meat of the program, the paralegal aspects, require in-house classes either day or evening. Internships are mandatory. Community College of Baltimore County in Baltimore extends students several options: an AAS degree that requires 61 credit hours to complete, and Post- AAS or Post-Baccalaureate Certificates that last for 31 credit hours minimum. In all cases, internship is mandatory. Some classes, with limited availability, are offered online while in-house classes are offered day and evening. Stevenson University (formerly Villa Julie College) in Owing Mills is a private four-year institution offering a Bachelor of Science (BS) or a second Bachelor of Science in paralegal studies. Classes can be day or evening with an accelerated course provided online. Internships are required for traditional students but optional for accelerated students. It is recommended to join an association that promotes the professionalism of the legal field. It offers support, up to date information and news that pertains to your profession, and many will offer seminars and workshops.